Consumers keep spending more money on new cars. The average transaction price on a new car these days is almost $34,000. That doesn't mean all new cars cost $34,000. It simply means that consumers choose to spend an average of that amount on a car, and truthfully, a lot of people who are spending that kind of money really can't afford it. Each year Kelley Blue Book (KBB) lists it's 10 Coolest Cars Under $18,000. That's right, not only can you buy a new car for $18,000 or less – some of them are actually “cool,” cars you might enjoy driving. So let's have a look at this year's offerings. Chevy’s subcompact wins points for its well-rounded driving manners. The affordable, capable, easy-to-use Chevrolet MyLink infotainment system is a big plus. You can easily see Ford of Europe's influence in Ford’s popular subcompact. It's good looking and fun to drive, not a bad combination when the car costs less than $18,000. Practical, reliable, and with a Honda resale value, the Honda Fit is also loaded with personality. Its 41 MPG highway rating makes it easy on the wallet too. Price is a big selling point – it has one of the lowest starting sticker prices on the list. But it delivers a lot of personality for the money. Perfect for a city dweller who has to squeeze into tight parking spaces. The Veloster won't be confused with any other car on the road. It has one door on the driver's side and two doors on the passenger side. But it lands at number six on the list by virtue of its surprising practicality and affordability. The Soul's boxy shape certainly makes it unique, but that's only part of what makes it a cool ride. It also boasts a low starting price, impressive standard equipment, and yes-I-can cargo versatility that makes it as smart as it is stylish. The Golf hits the road with a mix of elegantly refined but understated exterior styling, a rich interior, and impeccably European driving dynamics. Great fuel efficiency and practical design are just a bonus. For many, Jeep defines cool. The Jeep Renegade’s ability and design qualify it as one the coolest ways to get to your destination for less than $18,000. The redesigned Civic has already racked up a multitude of honors so far. KBB says it's among the roomiest, most comfortable, most fun to drive, most efficient, most feature-packed cars in the class. Topping the list is the 2016 Mazda 3, a perennial on the “coolest” list. Nicely designed inside and out, the Mazda3 also offers plenty under the hood. Drivers will also find the subcompact fuel efficient and tech-savvy. All the cars on the list had to meet two longstanding criteria – fun-to-drive and fun-to-own – as well as be obtainable under $18,000. "Cool sure has come a long way,” Jack R. Nerad, executive editorial director and executive market analyst for KBB, said in a release. “Our annual Coolest New Cars Under $18,000 is one of Kelley Blue Book's longest-running lists, and it's incredible to see all of the amazing tech features and amenities you can get on an affordable car these days compared to a decade ago." Here's something else to consider. A consumer purchasing a new car for $34,000, putting 10% down, and financing at 2% for five years, would have a payment of $536 a month. 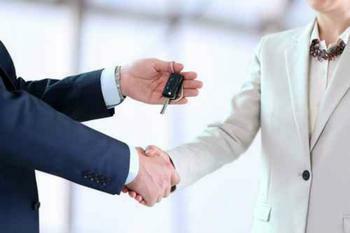 Purchasing a car for $18,000 with 10% down and financing for five years produces a monthly payment of only $284. Paying off the loan in just three years only raises the monthly payment to $464.